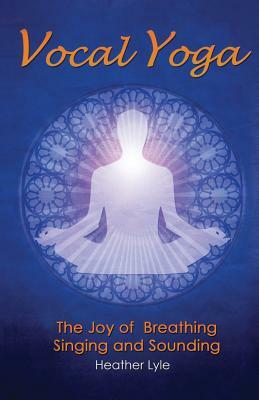 Vocal Yoga: The Joy of Breathing, Singing and Sounding (Paperback) | The Drama Book Shop, Inc.
Heather Lyle's Vocal Yoga, the Joy of Breathing Singing and Sounding is the first book of its kind synthesizing techniques from Yoga, pranayama, Tai Chi, Alexander Technique, Feldenkrais, The Bel Canto School of Singing, Sanskrit chanting, classical speech training and jazz improvisation, to unblock the breath and free the voice. Vocal Yoga contains 100 exercises that promote vocal freedom, resonance, and power, and help you uncover tension that might be hindering your voice and creative expression. Whether you are a singer, actor, yogi or public speaker, you will gain a better understanding of your voice and how to become one with it. Look in Amazon's MP3 store under Heather Lyle to purchase Lyle's double CD: VOCAL YOGA SINGING EXERCISES. 44 vocal exercises to improve your voice.